That there is a real need for the products & services you are going to be offering. That the products & services are realistically priced for the market place you are entering. That there is proof that the products & services sell in this market place. That the business is sustainable so you know you have a long term future. A need for your products & services - Our products cut costs, increase productivity, and increase revenues for ALL businesses. A known and expanding potential customer base - ALL businesses benefit from our services. Our unparalleled suite of products give the franchisee the opportunity that all companies MUST have, both in economic boom times, but also in times of economic uncertainty. Competitively priced products and services - We have specifically designed our products and services for the small to medium sized business sector with price points our competition can only dream about and we have thousands of customers that are testament to this. 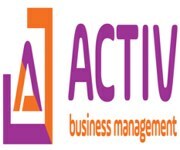 Activ’s satisfied customers - Our Activ franchisees have literally thousands of customers between them, some of which have been with them since they started their franchise, giving monthly and annual recurring revenue streams. Realistic sustainable earning potential - We have a proven track record over the past seven years, with franchisees renewing their franchise agreements constantly. Our franchisees are operating their businesses either part time, or full time with incomes ranging from $1,000 per month to over $10,000 per month. Genuine Business Opportunity - Our business has been in operation for over 8 years with over 50 franchisees and licensees worldwide. This shows our tried and tested formula REALLY WORKS! A low cost entry level - The initial up front franchisee fee is only $19,888 + GST. Our franchisees and licensees clearly think so; they enjoy unrestricted earnings, have a better work/life balance than they had before, or are earning the additional income they were looking for when they joined, and best of all they get to choose the hours they want to work! So whatever you want to earn, our proven franchise can give you the opportunity. With Activ you receive the full monitory value of your effort you put in, not what someone is prepared to pay you. This could mean you can work less and earn more. So How Is My Income Derived? You will have the facility to offer low cost fixed, ERP and BPO services that drive down business costs, while increasing their productivity along with connected E-commerce websites and mobile websites individually designed to your customer’s requirements, using our state of the art easy to use software (either designed it yourself we show you how, or we offer a design service to you) creating a fast income for the work you undertake. There are monthly fees for the systems that you have created which will deliver a residual income for you from month two onwards. Activ’s unique Search Engine Optimisation and Digital Marketing services allows you to generate further monthly revenues by offering these services to your clients or for customers who already have websites but need more visitor traffic to improve their business. Also there are a number of add on services such as email marketing and news letter facilities, website auds, upgrades and alterations to etc, which will generate additional revenue for you throughout the year. As your business grows so will your monthly and yearly residual incomes. It’s not unusual for franchisees to have 40% to 50% of their income generated from residual income and add ons as their business grows over the years. Will The Activ Franchise Work For You? We are looking for enthusiastic entrepreneurs who want to improve their lives by building their very own business, using our tried and proven business model. Our market sector is huge! All you need is drive, determination and a will to succeed (along with simple PC literacy... you need to know your MS Word from your MS Outlook! ); we will supply you with all the necessary tools to build a profitable long term business, using our methods that have worked successfully time and time again for our franchisees over the last 8 years. We will guide you through the building and developing of your business; you will receive help, training and sales and marketing support to get your business off to a flying start. We provide comprehensive training on how to approach local business with your services; how to build a lasting relationship with your customers and how to establish a long term business for yourself. Recession proof - Our business has survived and grown through tough economic climates. Customer base - each and every business is a potential client. No technical knowledge required - Our easy to use state of the art software and programs just need basic computer skills with online training provided. Easy Run Operation - Can be operated from anywhere using the Internet. Fast Growing - You will be running your business in the fastest growing market sector of the century. Earning Potential - you can set your own level of income. The more work you do the more you will earn and the greater your monthly and yearly residual income will be. Don’t just take our word for it read what our franchisees have to say. Would you like to know more information about this life changing business opportunity?